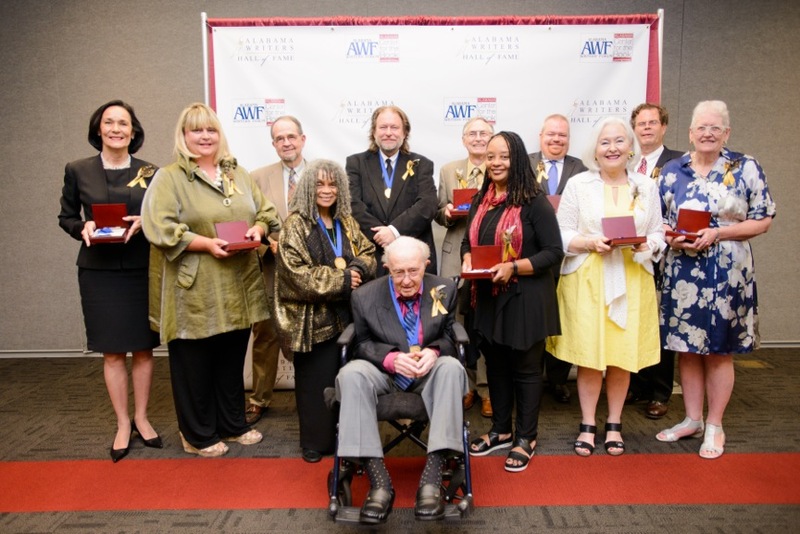 At a gala dinner recognizing twelve renowned authors, some 280 people celebrated the induction of the inaugural class of the Alabama Writers Hall of Fame. 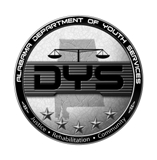 The event was held on June 8 at the Bryant Conference Center in Tuscaloosa. Prior to the induction ceremony, attendees mingled in the reception area and had a meet and greet with the inductees, their families, and friends. Sanchez, a prominent member of the Black Arts Movement, was born in Birmingham but moved to Harlem with her family at the age of six. The winner of Alabama’s literary trifecta—the Harper Lee Award for Alabama’s Distinguished Writer of the Year , the Governor’s Arts Award, and now induction into the Alabama Writers Hall of Fame—has always considered herself a southerner. The Black Arts Movement, which included her former husband, Etheridge Knight, is known for its association with the struggle for civil rights in the 1960s and ’70s. Her poetry reflects this struggle. Sanchez has also recently appeared at other Alabama literary events, for example the Alabama Writers Symposium in Monroeville and the Alabama Book Festival and G.W. Carver High School in Montgomery. Don Noble, host of the literary talk show Bookmark, addressed certain conversations about those Alabama writers who did not make the cut for the inaugural class. “The first class of the Alabama Writers Hall of Fame began with long lists of Alabama writers—one might even say almost all of them, and I can say without reservation that the committee members took the job with great seriousness. The discussion was extended and frank. Perhaps the “star” of the evening, best-selling author Rick Bragg, yet another winner of the Alabama literary Trifecta, began his writing career at the Jacksonville (Ala.) News as a teenager. “There is no denying the fact that I learned my craft with a daily newspaper,” he said. “I may be the youngest guy in here, but I sat up at the Jacksonville News typing stories on an old Remington manual typewriter. I covered Bear Bryant; I covered the Talladega race track back when sports had a romance about it. “I moved on to write about poverty and inner-city violence. I went overseas to cover the Taliban. I saw the Iraq and Afghanistan borders. Before I wrote my first book, I heard the call to prayer in Saudi Arabia. “I’ve been lucky, though. For the past twenty years I’ve mostly made my living with books. I don’t know why, but people want to read my books. Representatives were willing to speak on behalf of their inductees, too. “My claim to fame,” said Mary Lou Meaher, who accepted the award medal for Augusta Jane Evans Wilson, “is that thirty-five years ago I bought Augusta’s house in Mobile. Yes, I have been living with her ghost for thirty-five years. “[Alabama author and biologist] Eugene Sledge also grew up in the house,” she added. After dinner, Master of Ceremonies Edmond Williams, Professor Emeritus of Theatre at UA, introduced members of Theatre Tuscaloosa, who led the audience through a scripted, literary odyssey with readings from the inductees’ best known work. Tina Turley, executive producer of Theatre Tuscaloosa, directed the dramatic reading. With that Alabama Writers’ Forum Executive Director Jeanie Thompson and Louis Pitschmann, Dean of UA Libraries and director of the Alabama Center for the Book, presented the award medals to the inductees or their representatives. “After so many months of planning the Gala, and several years of conceiving a partnership between the Alabama Writers’ Forum and the Alabama Center for the Book, Monday night’s gathering was sort of like entering a force field. It was actually happening—we were launching the Alabama Writers Hall of Fame!” said Thompson. “To see so many people who don’t usually wind up together at a literary event all eagerly waiting to celebrate the inaugural class was a thrill,” she said. “In addition to the elegant, evocative tables designed by AWF Board Vice President and Arts Council member Julie Friedman with Matt Clinton Designs of Tuscaloosa, there was an atmosphere of excitement and pride. There was joy and celebration in the air. Thompson thanked Donna Adcock and Emily Burnett whose team from UA Libraries were instrumental in organizing the highly successful gala. “June 8, 2015, was indeed a memorable event for almost 300 individuals who love and support the art of writing and Alabama authors,” said Alabama State Council on the Arts Executive Director Al Head. “The inaugural Alabama Writers Hall of Fame induction in Tuscaloosa was the culmination of years of visioning, planning, and hard work by the Alabama Writers’ Forum; the Alabama Center for the Book, based at the University of Alabama; and countless numbers of volunteers representing many boards and organizations statewide. “And what a grand evening the induction ceremony was. 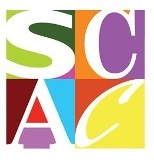 The Alabama State Council on the Arts, a partner and support arm of the Alabama Humanities Foundation, was represented by numerous staff and council members, all extremely proud of the success of the event. As Director of the Council, I feel strongly that if June 8 was any indication of the future, the Writers Hall of Fame will prove to be a landmark event in shinning a much deserved spotlight on past and present authors from Alabama. “I, like others, was pleased to see so many individuals from across the State who attended the Gala to honor the inductees and to celebrate Alabama’s many contributions to the literary heritage of our country,” said Pitschmann. "The Alabama Center for the Book was pleased to be a part of this momentous occasion honoring the outstanding achievements of these exceptional authors,” said Adcock. “We look forward to continue working with the Alabama Writers' Forum to continue to grow our Hall of Fame." “Watch for news of the next nomination period and the date for the 2016 event in our Literary News e-newsletter, the Forum’s online calendar, and on Facebook at Alabama Writers’ Forum Friends,” said Thompson. Major sponsors for the Alabama Writers Hall of Fame Inaugural Induction Ceremony include The Alabama Center for the Book, The University of Alabama Library Leadership Board, and The Alabama Writers’ Forum, a partnership program of The Alabama State Council on the Arts. Those Alabama writers inducted into the first class of the Writers Hall of Fame include Johnson Jones Hooper (1815-1862), Augusta Jane Evans Wilson (1835-1909), Helen Keller (1880-1968), Zora Neale Hurston (1891-1960), William March (1894-1954), Albert Murray (1916-2013), Helen Norris Bell (1916-2013), Andrew Glaze (b. 1920), Harper Lee (b. 1926), Sonia Sanchez (b. 1934), Sena Jeter Naslund (b. 1942), and Rick Bragg (b. 1959). The twelve inductees were selected by a professional, credentialed group of scholars, literary critics, arts advocates, and literary and cultural historians, who considered the historical range of Alabama Literature. The first Alabama Writers Hall of Fame Advisory Committee included Lou Pitschmann, Dean of Libraries at the University of Alabama (UA) and director of the Alabama Center for the Book; Donna Adcock, Alabama Center for the Book and UA Libraries Director of Public Relations; Julie H. Friedman, Alabama Writers’ Forum Board of Directors VP, Executive Committee UA Library Leadership Board, and long-time member of the Alabama State Council on the Arts; William Gantt, Founder, Southern Literary Trail and partner in the firm of Huie, Fernambucq and Stewart, LLP; Trudier Harris, UA English professor, Eugene Current-Garcia Award recipient for literary scholarship (2002), and Alabama Writers’ Forum Board member; Bert Hitchcock, retired Auburn University Professor of English and Eugene Current-Garcia Award recipient (2001); Jay Lamar, director of the Alabama Bicentennial Commission; Don Noble, retired UA English professor, host of Alabama Public Television’s Bookmark, book reviewer for Alabama Public Radio, and Eugene Current-Garcia Award recipient (2000); and Jeanie Thompson, executive director of the Alabama Writers’ Forum.